Thats is like way weird!! Their nuts!! No. Way! That is hilarious!!! Um, if dad does need to buy those for mom this weekend, he needs to also get some poles and go fishing! 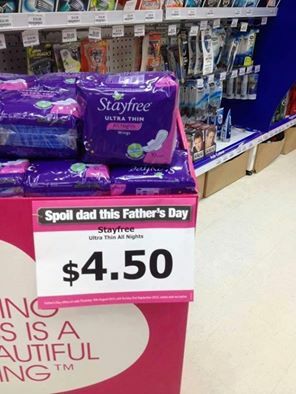 You mean spoil his day? OMG - I don't know how I am so late to get to this. Possibly the funniest thing currently on the web.